Electrolux is the world’s largest manufacturer of vacuum cleaners & central vacuum cleaners. If you are looking for the perfect central vacuum system for your home, this is it! They are awesome and built-in to your home. No more dragging out that vacuum over and over again! They are attractive and affordable. 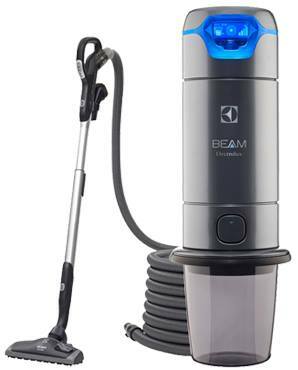 In 2007, BEAM Industries became BEAM by Electrolux Central Vacuum Systems featuring the central vacuum brands of BEAM, Eureka, and Electrolux. Pre-packaged kits, a detailed installation manual and video make a BEAM Central Vacuum System easy for do-it-yourselfers to install. In addition to new homes, 95% of today’s existing homes can be retrofitted with a central vacuum system. If you’ve ever wanted to own one of these awesome systems but wasn’t sure about investing in one, you’re in luck. One reader is going to win their very own whole house central vacuum system — the Alliance Central Vacuum System w/ 2-Way Communication + Q 30′ Cleaning System provided by BEAM by Electrolux. To learn more about this amazing system, it’s features, and more, check out Bella Savvy’s detailed review. 1 Winner will be chosen at random at the end of the entry period 12/09/13 from all valid entries. Prize is an Alliance Central Vacuum System w/ 2-Way Communication & Q 30′ Cleaning Set provided by Keter ($1780 value). ~ Disclosure: Giveaway Banidt is not responsible for prize shipment. Facebook, Twitter, & Pinterest are in no way associated with this giveaway. I like the HEPA Exhaust Filtration. I like that it has a HEPA filter. My toddler has asthma and allergies as well as food allergies, including airborne food allergens. For example, if someone opens a bag of Reese’s Pieces near him, just the particles in the air will send him into anaphylaxis. So, we try to keep our apartment free of any and all dust and unknown particles. We don’t eat anything with dairy or peanuts, but other people do and milk is really hard to avoid. Hepa Filter, self cleaning filter, and smart screen. Plus, let’s face it, it looks freakin bad a__!!! I like that it has dirt capacity of 4 lbs and it has a self cleaning filter. I like the advanced smart screen. I love that it has a Hepa Filter, self cleaning filter, and smart screen. The fact that it is a true hypoallergenic cleaner makes it a number 1 in my book and has ample power for the 70’s shag carpet to hardwood floors. i like the self cleaning filter. The HEPA filter and that it is self cleaning are huge pluses!